Hull City have completed the signing of goalkeeper George Long from Championship rivals Sheffield United. The 24-year-old joins for an undisclosed fee, signing a three-year deal, with a further year option. 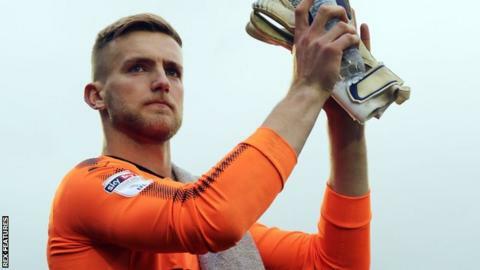 The deal allows the former England Under-20 goalkeeper to reunite with Hull boss Nigel Adkins, who he played under for one season at Bramall Lane. "I've played under the head coach before, so that was a big factor in me coming here," said Long. Long graduated from the Blades academy to make 123 appearances for his hometown club. He also spent loan spells with Oxford United, Motherwell and AFC Wimbledon.